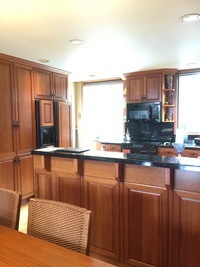 The before shot here shows the raised bar we took down to counter height and the overall darkness of the black granite and wood cabinets. 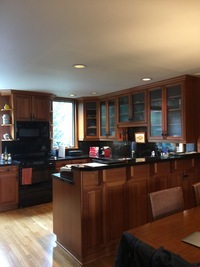 What a transformation this shows, light, bright and all that was done was lowering the bar, painting the cabinets and installing new counters and backsplash. 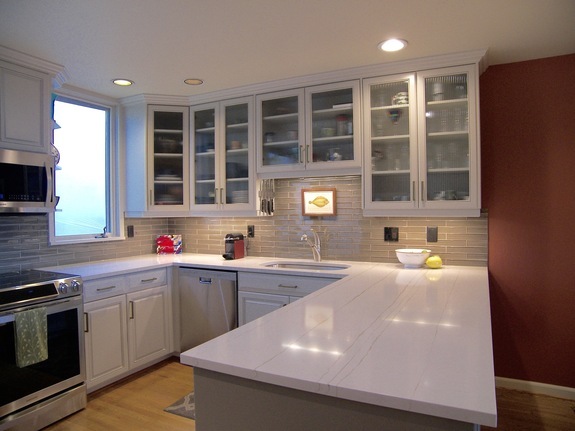 All existing cabinetry and layout. Another shot of the raised bar and this shows the refrigerator wall and how that was transformed. 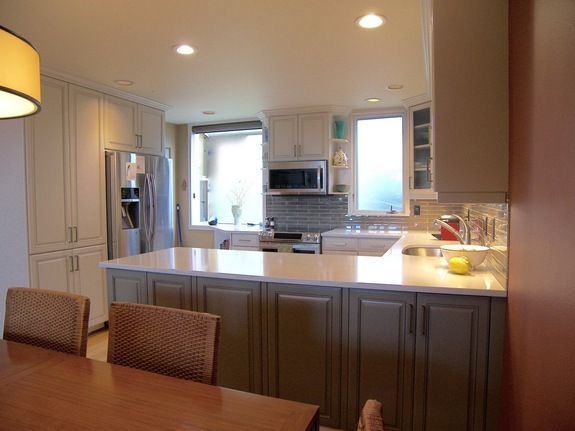 We accented the back side of the peninsula with a bit darker paint color which gives it a more dining room feel and more interest. Also shows the new appliances nicely. 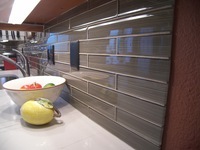 A close up of the backsplash tile which has a slight linear affect to the glass that pulls in the counter top lines perfectly. 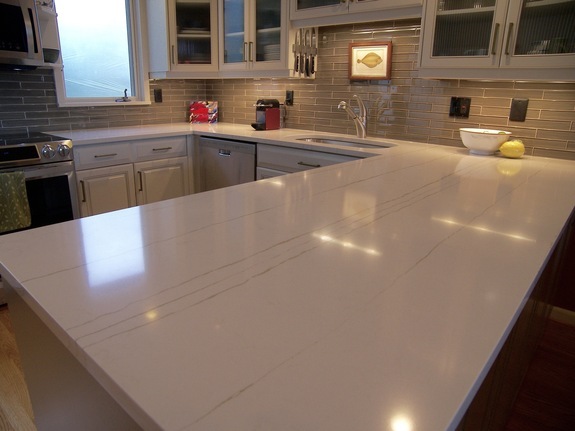 This Pental Quartz shows off very nicely with the linear taupe accents to it while still being a light color.